13 Little Blue Envelopes – Maureen Johnson: The concept of this story was great. Ginny, an ordinary teenage girl, goes on a mysterious trip across Europe after 13 envelopes are sent to her from her now-dead aunt. Each envelope has a task and instructions, and each new envelope can only be opened once the task from the previous letter is completed. The locations in this tale were awesome, of course, and I generally love this kind of adventure story. There were, however, a couple of issues with this book for me. First, I didn’t like how aunt-centric Ginny’s trip was. The aunt, who set this trip up for Ginny before her own death, sends Ginny to all these places that she herself visited in her life. Sounds kind of cool in theory, but in reality, Ginny went to country after country, and saw hardly anything worth seeing in any of them. The trips didn’t need to be touristy, but they could have been a little more awe-inspiring or beautiful for me. Also, if you’re interested in this book, I’d suggest you read it instead of listening to it. There are a lot of characters from a number of countries, and so there are a lot of accents. The narrator attempted to do these accents, and for me, at least, the result was fairly brutal. I could barely listen to some of her speeches! An okay book, but definitely a read instead of listen tale. Will Grayson, Will Grayson – John Green & David Levithan: This, on the other hand, is a story I am so glad I listened to. The tale is about two teenage boys both named Will Grayson. They meet in peculiar circumstances, and their lives become slightly intertwined when one Will Grayson begins dating the other Will Grayson’s best friend, Tiny Cooper. The story is not really about the intersection of both Will Grayson’s lives…it is about each Grayson separately, and how their lives sort of briefly come together through Tiny. I wasn’t a huge fan of how the last part of the book became the Tiny Cooper show (kind of literally), but I really enjoyed both Will Graysons, and I thought the narrators for each guy was awesome. (The one narrating Will Grayson #2 totally reminded me of Christian Slater in Pump Up the Volume, so I loved that!). There is a musical in this, and both narrators were great at outlandishly singing along to the songs, too, which definitely added something to the story. It was a fun tale with a good overall message, and I would definitely recommend this one as a listen! Another audiobook listener! I listen to a lot of books because I can do it all day while I work. It's like totally getting paid to read! Granted, I get my work done, but it's still awesome and it passes the time better than listening to the same 4 songs on the radio. 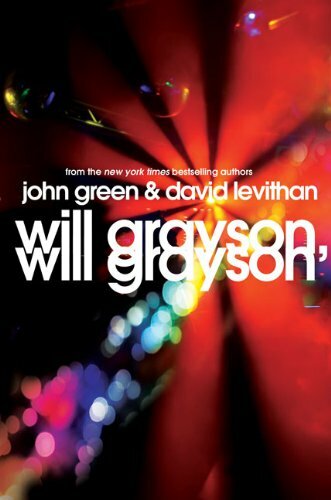 I listened to Will Grayson, Will Grayson too and I loved it as well! I loved it so much I bought the book afterward. You're right, the narrator can make or break a story. I don't know if you like speculative fiction, but if you do The Maze Runner series has a good narrator. So does the Unwind series, and the Escape from Furnace series. I loved all three of those series and they picked awesome narrators. Ahaha, I listen to them at work, too!!! I agree, much better than the radio. I haven't listened to any of those, but I will put them on my list!